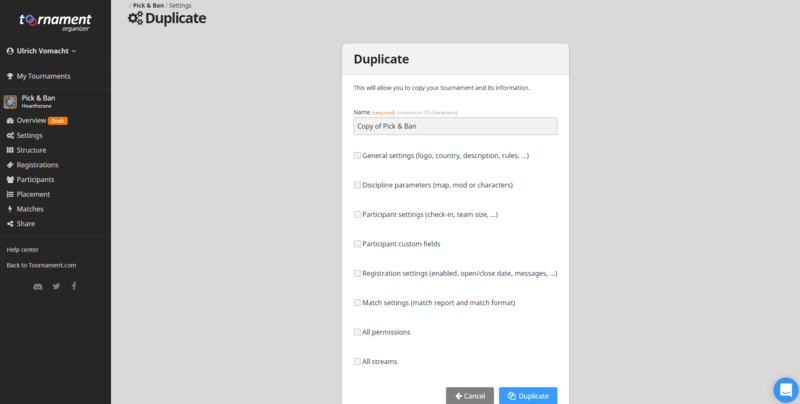 To duplicate one of your tournaments, get to the "Settings" of your tournament, and click on "Duplicate" in the lower-right corner, by the other Global Actions. Once you validate, you will automatically move to your newly-created tournament! As of now, you can not duplicate the Structure of a tournament, but that will be possible soon!